This is an incredibly exciting day for us! Tomorrow morning (Wednesday, July 24, 2012) Joyce and I and 9 others are embarking on yet another NEXT International adventure of faith and service! We will be flying to Prague, Czech Republic ... and then taking a 5 hour train ride to the city of Zilina, Slovakia! 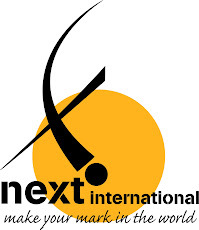 For the third year, our non-profit, NEXT International, has been invited by Josiah Venture/TCKompas (www.josiahventure.com), a partner organization in Eastern Europe, to help conduct an Outreach English/Activity/Sports Camp for high school students in the country of Slovakia! These camps are hosted by a local church and led by a very committed group of Slovak leaders who want to share God's love in practical ways with their peers. Our hope is to help these students see that a relationship with God is >GREATER THAN> any other thing they could think of or pursue! Check this blog or our NEXT International Facebook page for updates! **NEXT International is a non-profit 501(c)3 organization, so all contributions are tax deductible.